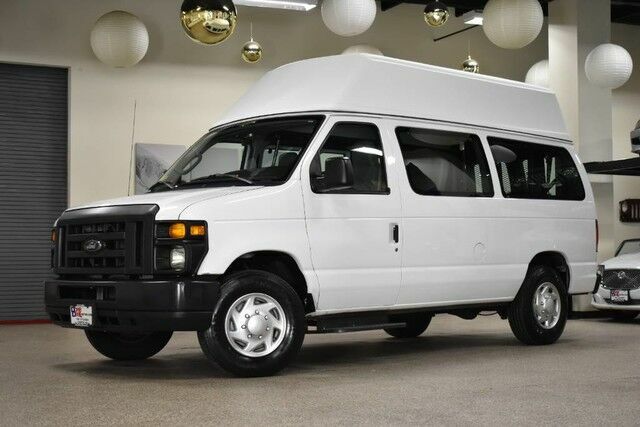 2013 Ford Econoline E-250 Wheelchair van 1-Owner with a rear power Lift. This van has been well maintained and always serviced on time is in great shape and ready to go to work. Please look at all the pictures to see how nice this vehicle is. We do have more vans in our inventory. Check our website for more vans. If you have more questions please call 617-799-2166 This Ford includes: 60/40 HINGED SIDE CARGO DOOR (STD) HIGH CAPACITY FRONT/REAR AIR CONDITIONING A/C Rear A/C BACK UP CAMERA Back-Up Camera 4.6L SOHC EFI FLEX FUEL V8 ENGINE (STD) Flex Fuel Capability 8 Cylinder Engine OXFORD WHITE 4-SPEED AUTOMATIC TRANSMISSION W/OD 4-Speed A/T A/T DUAL CAPTAIN'S CHAIRS Bucket Seats WHEELCHAIR CONFIGURATION *Note - For third party subscriptions or services, please contact the dealer for more information. * This 2013 Ford Econoline Cargo Van comes with a CARFAX Buyback Guarantee, which means you can buy with certainty. If not for a few miles on the odometer you would be hard-pressed to know this 2013 Ford Econoline Cargo Van is a pre-owned vehicle.